Is Dhikala Grasslands the Masai Mara of India ? We had heard so much about the famous Dhikala Grasslands, the Masai Mara of India that we were eager to see it firsthand. The approach road to the Grasslands (below) builds the expectation, the road winds through with huge Sal trees lining it on either sides. The dead tree trunks (above) that we photographed in the twilight zone is the signature picture of the Dhikala Grasslands. 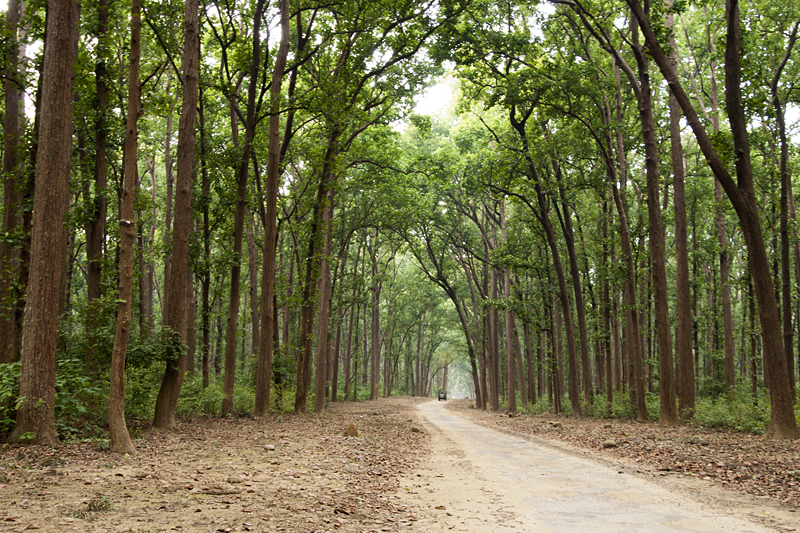 And as the road flanked by these Sal trees ends, it opens up into this expansive Dhikala Grasslands that stretches till the banks of the Ramganga river. It was a cloudy evening when we got our first glimpse of the Grasslands (above) and even in the flat light it was clear why wildlife enthusiasts go ga-ga over Dhikala. Having seen the savannah of Masai Mara Reserve and Serengeti National Park, we do feel that Dhikala truly is the Masai Mara of India. After soaking in the Dhikala landscape we drove deeper inside and soon spotted a Chital (Spotted Deer) walking amidst the grass (above). 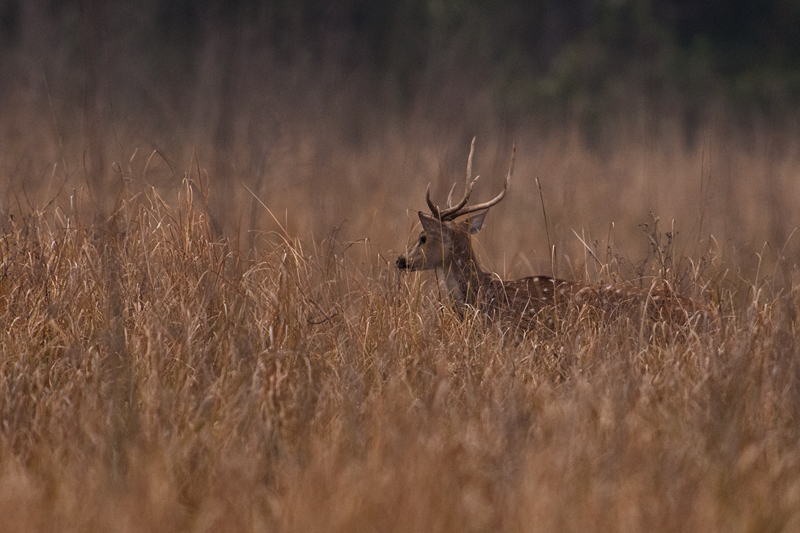 Even in the dull light, it was an beautiful sight and a little further we saw another Chital, much closer this time (below). Time just flew and with the light falling, our first safari in Dhikala Grasslands was coming to an end. 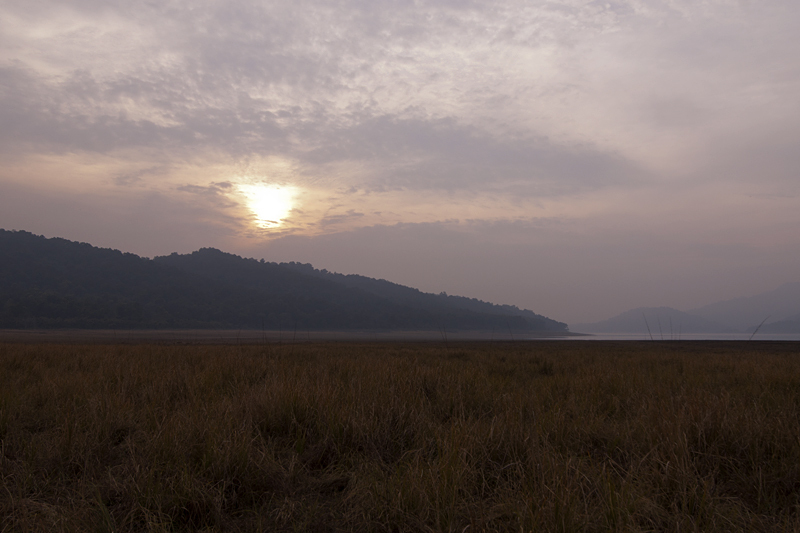 But before turning back to head to the lodge, we captured some of the landscape in this sunset composition (below). On the way back to the lodge, nostalgic memories of the thrilling Tiger sighting in Corbett National Park flooded us and we hoped to see yet another Tiger on this trip. 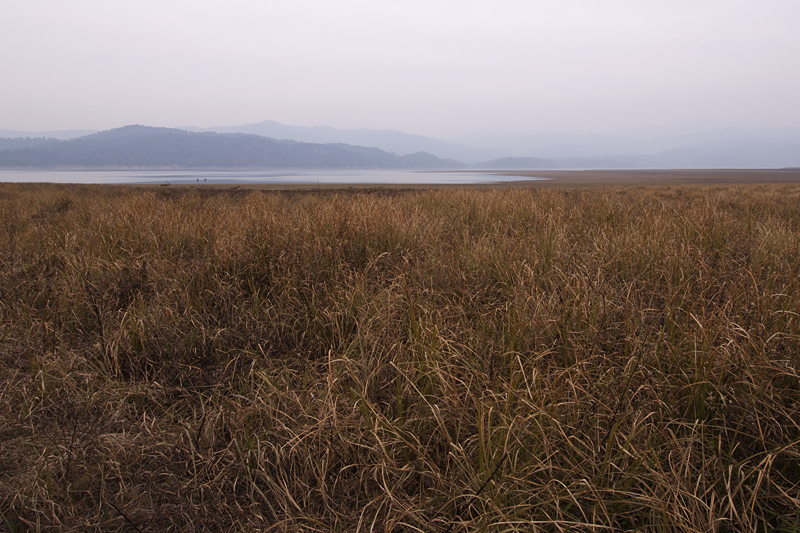 Love the feel of solitude and infinite space in your Grasslands photographs. 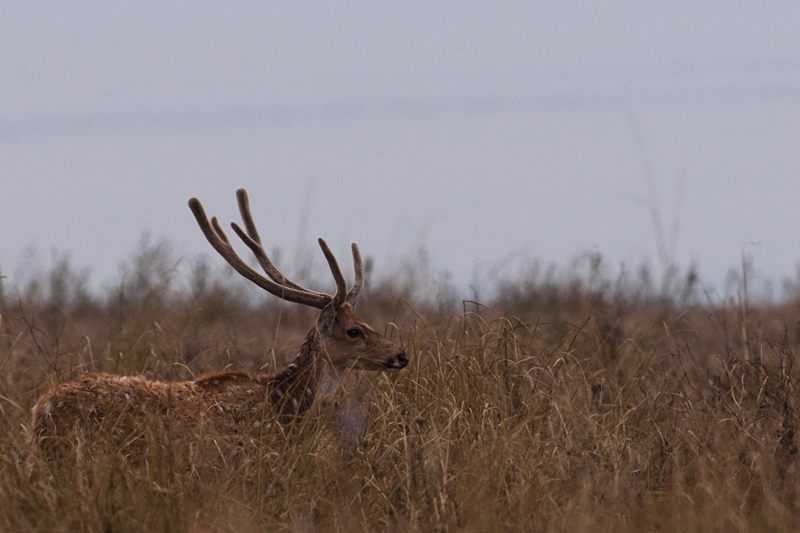 The images of the Chitals in the high vegetation are superb! Interesting photos of a fascinating part of the world.